I would like to take a moment to say Thank you to my wife Jasia❤. I am lucky to have such a supporting and loving wife in my life. She understands my passion for technology, especially when it comes to virtualization and allows me to purchase different technologies to further my knowledge. Noise – Started to hear complaints from the wife and daughter. Cooling – AC constantly running in order to keep that closet cool. Cost – Increase in electric bill….DUH. So to address these concerns I decided to build an energy efficient/quite host that would allow me to implement VSAN and have DVGA support. Before I could proceed I needed to get approval from the budget committee aka the wife. So after deliberations ended I was granted approval and set off to www.newegg.com to begin the process. 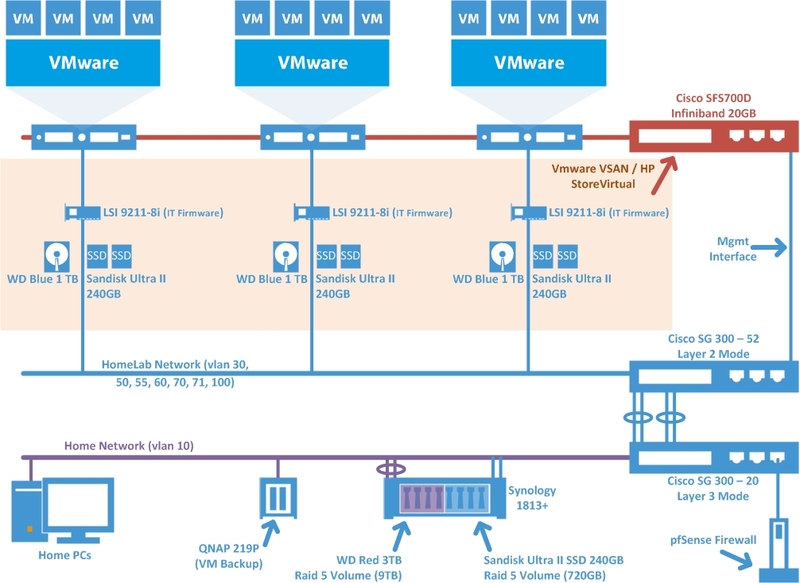 A critical concern needed to be addressed and thats finding a suitable I/O controller from VMware HCL. I chose to go with LSI 9211-8i. The other two hosts were built using Chris Wahl’s build with some minor tweaks…thanks Chris! I chose not to go with his build again as I needed x16 slots for the video card. The X10SAE-O fit the bill perfect but does have one drawback is no IPMI support. Since I seldom use this feature it wasn’t a deal breaker. Also checkout Vladan Seget blog as he has an excellent post on the Cisco Topspin 120 Infiniband Switch! 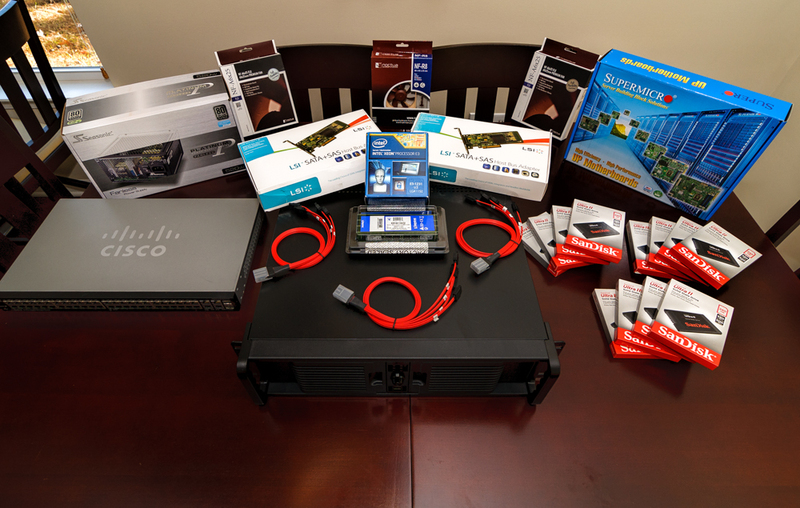 Below are the components used to build this host. With the addition of the 3rd host I quickly ran out of ports on my SG300-20 so I went ahead and purchased another SG300-52 switch. These switches have a ton of features! 1 comments On Homelab – Upgrade Time!